Here a quick example how to create a Sha512 hash in C#. We are using the functions from System.Security.Cryptography, so don’t forget to add the using at top of you file. Here a quick example how to create from an string an md5 hash in c# and output it as string. The only difficult is to convert from string to byte array and back again. So i have to method, one accept the byte array direct and returns a byte array, the second method handles the convert from string to byte array and back again. 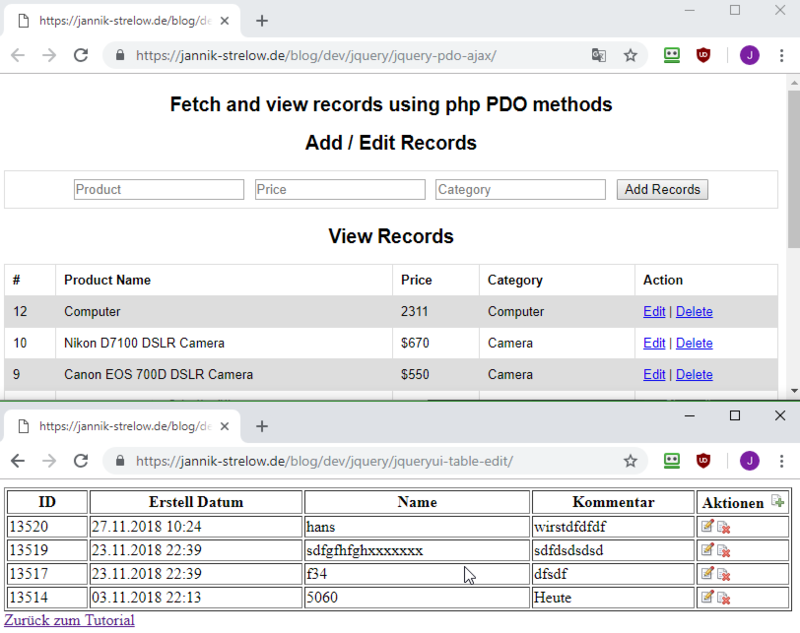 I have found a very nice tutorial, how to use PHP, PDO, jQuery and the ajax technology to create, edit and delete records on a database table. I have copied the script and had make an online demo page from this project. Its like my own German article how to use PHP and Ajax to edit a table on the MySQL database. Its interesting, how different the concepts are to create a editable MySQL table. Preview the PHP PDO example from programmerblog.net. Preview the mysql ajax edit table example from my blog. Don’t forget to checkout the website from programmerblog.net, there are many good articles.